Dr Steve Chinn is an internationally recognised expert on Dyslexia and Dyscalculia. Steve has taught for 40 years in mainstream schools, in Further Education and in Special Education. 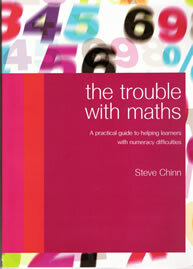 Dr Steve Chinn has written several books based on my classroom research including "The Trouble with Maths" which won the NASEN/TES "Book for Learning and Teaching" award in 2004. The second edition of "Sum Hope", now titled "Dealing with Dyscalculia: Sum Hope2", was published in September 2007. Dr Steve Chinn is an honorary advisory member of the Register of Educational Therapists (Singapore) and has advised the Dyslexia Association of Singapore about their Master's degree course. Steve is co-founder and then Chair of the Council for the Registration of Schools Teaching Dyslexics (CReSTeD) and currently Chair's Dyslexia Action's Education Advisory Committee. Dr Steve Chinn's research focus is around diagnosis and assessment of maths learning difficulties and he had a book published in January 2010 titled "Addressing the Unproductive Classroom Behaviours of Students with Special Needs". More recently Steve has been lecturing in Melbourne training teachers. His current (big) project is a set of norm-referenced tests + book on diagnosing and assessing maths ld and dyscalculia for Routledge/David Fulton. He has a new edition called ''Addressing the Unproductive ... which was short-listed for a nasen award in 2011. Steve has been asked to set up and Chair a BDA sub-committee on dyscalculia this year. Julie is an experienced Dyslexia Practioner MA RCA, PGCE Dyslexia Diploma and member of Patoss,the professional association of teachers of students with specific learning difficulties. Julie specialises in bohemian support methods. Dyslexia is a pattern of specific learning difficulties and as a dyslexic Julie has a gift in being able to translate the students difficulties in a way all can understand and with this new understanding change can happen. With understanding comes chance, students, parents and tutors understand their specific difficulty and therefore can start to find strategies that suit these individual. With the right understanding and with tailored support, I have seen how people grow in confidence and independence. I understand specific needs and enable people to find away through academic study or workplace rigours. I have also been trained by Holigral as an NLP 4th generation facilitator which equips me to help people with stress, emotional difficulties, phobias and lack of focus. To inspire someone with possibility and the ability to change, is the greatest gift I feel I can offer. I have worked successfully with HE students at Plumpton College for the last three years. I am looking forward to working with a team. Debra Kelly is Professor of French and Francophone Literary and Cultural Studies in the Department of Modern and Applied Languages at the University of Westminster. She has published widely in the fields of Text and Image Studies, War and Culture Studies and Cultural Memory. She is Director of the International Research Network the Group for War and Culture Studies and principal editor of the Journal of War and Culture Studies. In 2005 she was made a Chevalier dans la Ordre des Palmes Acadamiques by the French Government in recognition of her services to French language, literature and culture. She is Chair of the ˜Languages in Action Employability activities of the HEFCE-funded Routes into Languages Capital L London Consortium of 8 HEIs whose aim is to promote language learning amongst 14-19 year olds across all education sectors, and the author of the Routes Research Report Languages and International Events. Are we ready to talk to the world in 2012? which focuses on HE languages departments contribution to high-profile sporting and cultural events. She is Co-Director of the DCSF-funded Links into Languages London Regional Centre which provides professional development for language teachers, educators and all those working in the world of languages across primary, secondary and further education institutions. She is currently working with AchieveAbility on developing materials to enhance language learning and teaching to be offered to teachers . Jo Todd developed her skills working in Special Education for 20 years and founded over twelve years ago. Key 4 Learning provides consultancy, mentoring and training for industry, government, schools, colleges and universities. Jo is dyslexic as is almost all her family. Jo's approach emphasises communication with staff about hidden disabilities and advising on good practice. The improvement opportunity is enhanced by a macro view including recruitment, promotion and appraisal policy, in addition to workplace assessment and support. 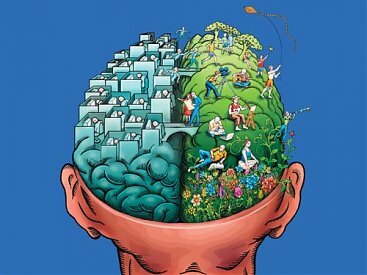 Key 4 Learning mentors and trains managers, staff and individuals on obtaining the best performance from those with specific cognitive performance issues. Jo has contributed to Government sponsored projects in screening for hidden disabilities and analysing data for a The Moser Report Freedom to Learn? on literacy skills. She was a member of the Adult Basic Skills Strategy Unit, Dyslexia Advisory Group and worked with the Disability Rights Commissions Autistic and Neurodiversity Working Group. Jo is a member of the ACAS Disabled People's Involvement Forum, where she supports ACAS in ensuring people with disabilities are not disadvantaged during conciliation. Adam will tell people off if they use a phrase 'people with disabilities'. He feels people are disabled not by their condition but by the attitudes in society and lack of infrastructure. We are all diverse but some diversity is not accommodated for. Embodying this social definition of disability makes him the ideal person to lead our advocacy campaigns. Adam is an inspirational and passionate campaigner and approaches everything he does with a strong 'can do' attitude. His wheelchair or cerebral palsy has not stopped him once. After graduating with a first class honours degree in Internet and Communication Systems, Adam was also awarded the Vice Chancellors Award and the DEC (Design, Electronic and Computing) Award. Adam was President of the University of Bournemouth Students Union before being elected for two years working for the NUS as the National Disabled Students Officer. He is also currently involved with DSA-QAG[AR2], as an Independent Director. Adam's experience in HE and the NUS makes him a powerful driving force behind the DnA Ambassador Scheme and our broader disability campaigning work. Heather Symonds has been teaching for 27 years, during which time she has delivered units on; the PGCE (Greenwich), level provision Access to Humanities as Course Director. She held the post of Development Officer for NOCN (Open College of South London) and was a researcher in the School for Independent Study at the University of East London. Heather is Dyslexia Co-coordinator/Adviser who has been working with students within the field of Creative Arts for 14 years. Her work includes staff development and awareness training. Her Teaching and Learning Fellowship in 2005 led to staff and student handbooks and guidance for oral assessment. In promoting a sustainable viva voce as accommodated assessment she has delivered staff development both nationally and internationally, notably, HEA 2007, SEDA 2007, CLTAD 2008 ,INSEA Japan 2008 and Doing It Better RMIT/La Trobe in Australia 2007. Her research continues to include the viva voce together with oral assessment as inclusive curriculum. Heather's published contribution centres on Teaching, Learning and Assessment in: Neurodiversity in Higher Education edited by David Pollak (Wiley, 2009). Her last journal article expresses the process of a new assessment for students with dyslexia: âIntroducing Oral Assessment within Creative Practice: I can write but it's like walking against the wind. (Intellect Writing PAD 2009). In June 2009 she will present at the 9th International Conference for Diversity in Organisations, Communities and Nations, Riga, Latvia. Heather has worked with students from diverse backgrounds to produce oral material against grading descriptors in Sound Design, Fashion, Fine Art and Photojournalism. In working towards InCurriculum she has delivered a cross college elective; oral presentations and hopes that freedom of choice within assessment will help to create inclusive curriculum. Beverly is a Chartered Psychologist. She has a clinic in Cambridge specialising in specific learning difficulties and perceptual difficulties. In addition to working with clients she remains actively involved in academic research. She acts as Consultant Psychologist to Dyslexia Action and for many years was a lecturer in brain- behaviour relationships at London University. She is EEG Spectrum trained in neurofeedback and is an accredited EEG Spectrum Instructor. She is a member of the British Psychological Society and the International Society for Neuronal Regulation. She sits on the training & certification committee of the Society of Applied Neuroscience. Beverley's most recent work includes the neurology and psychology of learning styles. He was then asked to write chapters for two books on Women and Depression and Children and Depression both from a dyslexia perspective. 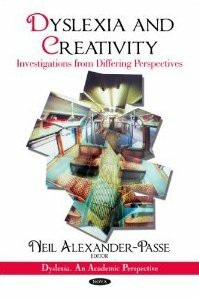 The book chapters were the start of Neil's in-depth research into the human side to dyslexia, leading to a sole authored book entitled Dyslexia and Depression: The Hidden Sorrow (2010) and editing a book on Dyslexia and Mental Health: from Differing Perspectives (2012). 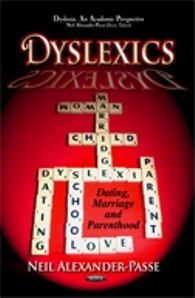 His Dyslexia and Depression book lead him into researching and sole authoring a book on Dyslexia: Dating, Marriage and Parenthood (2012) which continued his work on the human aspects of dyslexia. As a typical dyslexic he has many knowledge areas: art, design, photography and writing. 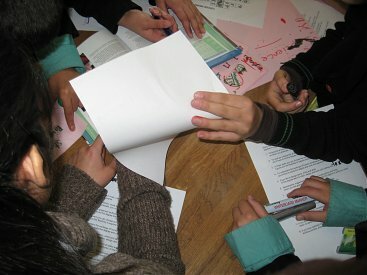 He wanted to investigate such positive aspects by editing Dyslexia and Creativity: from Differing Perspectives (2010), which like his other edited book, aimed to bring many researchers, educators and scientists together to brainstorm differing topics, many such contributors were professors and leaders in their fields, from the UK, US, Brazil, Italy, Finland and Sweden. 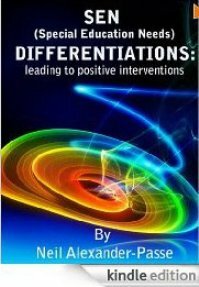 He is now promoting the books by Alex Nile, a dyslexic fiction author, who also writes on the human aspects of dyslexia, but in a more user friendly media (paperback and kindle via amazon). He sees this as important to convey that dyslexia is never cured, but develops throughout the life of individuals. Author of 'Dyslexia and Depression: The Hidden Sorrow'. Author of 'Dyslexia: Dating, Marriage and Parenthood. Book Editor of 'Dyslexia and Creativity'. Vivien has developed specialised personalised learning programmes focusing on a holistic approach to pastoral support. She has considerable experience as senior FE manager with strategic responsibility for the leadership and development of tutorial and enrichment provision for 14-19 year olds and adult learners, providing differentiated strategies and resources to meet a wide spectrum of learning styles and needs. meeting Every Child Matters themes during tutorials. Vivien's experience as college corporation member, chair of performance committee and local government councillor contributing to education policy in Merton has underpinned her shaping of the tutorial infrastructure that supports learner progress. Developed the online ILP to ensure learner ownership of targets and optimum access to enrichment. Her work is recognised by OFSTED, LSN, WECAN Aimhigher and by the FE conference circuit. 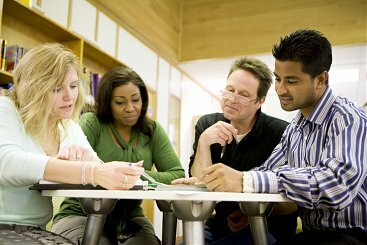 Tutorial good practice sharing with FE colleges includes Lewisham, West Thames and CONEL. A Fine Art Graduate, Joseph is a Neurodiversity consultant, Assistive Technology Tutor and qualified dyslexia specialist with over 10 years experience of working in Education. He has worked with a range of clients with varying disabilities, including physical disabilities, visual impairment, but specialises in individuals recognised as being dyslexic, dyspraxic, ADD/ADHD, aspergers, ASD and autistic. Institutions he has worked with as a consultant include the Job Centre Plus, RAPt (Rehabilitation of Addicted Prisoners Trust), University of the Arts London, Institute of Education, London Southbank and Goldsmiths Universities. Joseph has Postgraduate Certificates in Dyslexia from London Metropolitan University and LLU+ London Southbank University. He has co-designed and delivered the NATELT (Needs Assessment and Training of Enabling and Learning Technologies) CPD postgraduate course at LLU+ , specifically for the DSA sector. In 2009 he devised Video Notes, which uses video screen capture software for Windows PC and Apple Macs to capture training sessions for clients to look back at, when needing a recap post sessions. Diagnosed with Dyslexia in the 2nd year of his degree, Joseph has developed effective coping strategies which he shares with the people he works with, whilst helping them develop their own. His own reflection on his personal experiences of transforming his own neuro-blocks to learning means he understands the needs of people he works with intuitively. His reading speed has quadrupled since learning the SuperReading technique which he is excited about coaching others in. In 2011 Joseph was diagnosed as being ADHD and has since been learning more about the condition and how to work with people who are also ADHD. He is qualifying as a dyslexia diagnostician, and researches further into Dyslexia, Dyspraxia ADHD, Asperger's Syndrome and promotes the ideology that is Neurodiversity. Joseph has also worked as a youth worker for Lambeth, Croydon and Southwark, working with young offenders and young people with behaviour difficulties. In this role he was an arts workshop co-ordinator and facilitator. This role was also applied to two well known charities where Joseph was involved with Music and Art-Therapy workshops in various primary and secondary schools. In collaboration with ''Kids Company'' focusing on behavioural difficulties and with ''HAFAD'' these workshops were delivered at the centre in Hammersmith. He is also a published poet and an established singer songwriter with his own band, of his work deals with the issues surrounding neurodiversity.